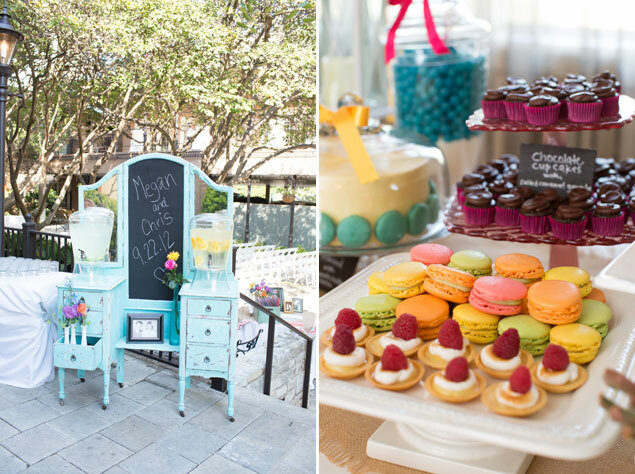 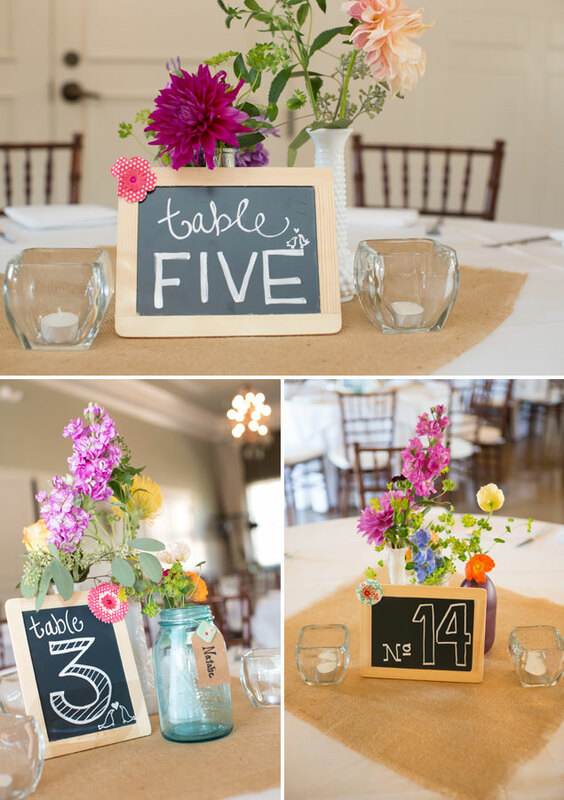 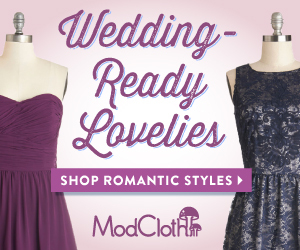 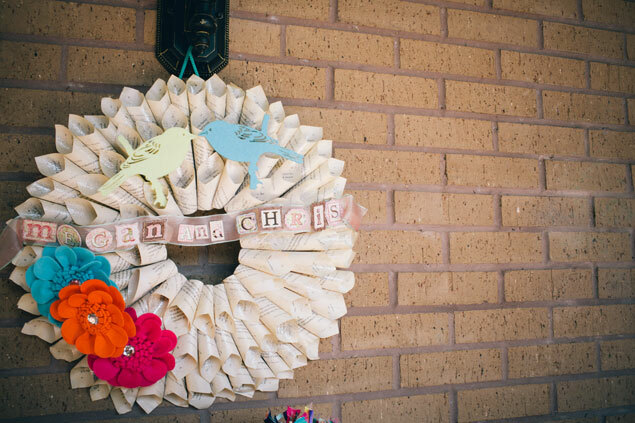 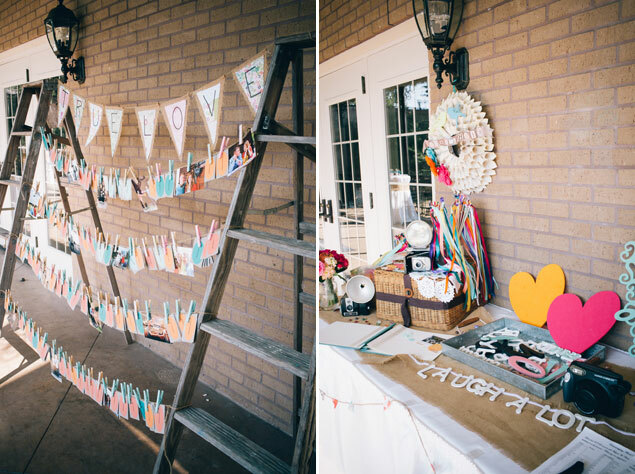 I love everything about this DIY wedding! 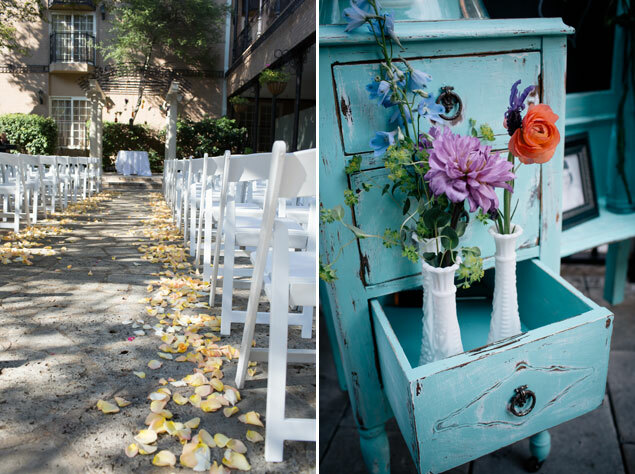 From the bright colors to the many handmade details… Megan and Chris planned a day filled with beautiful personal touches. 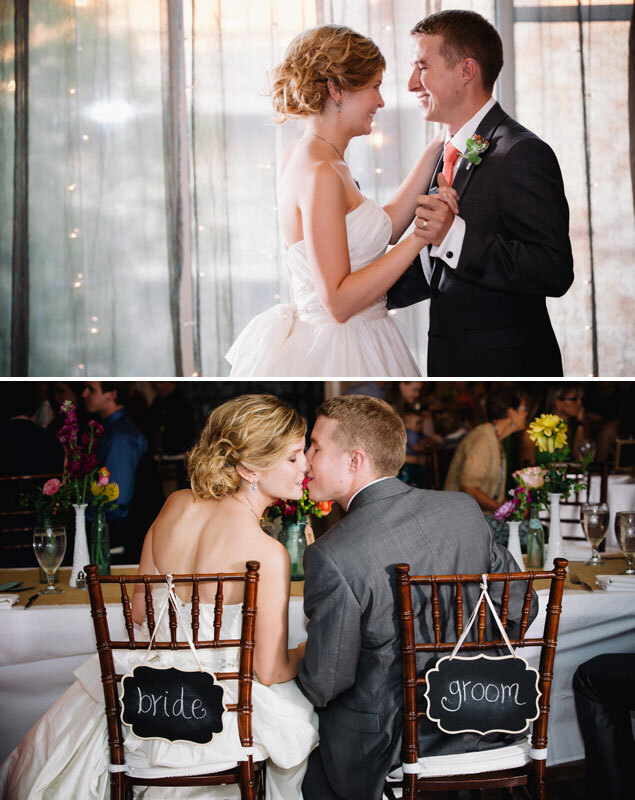 Deborah from� Virtu Photography is here with more info and some wonderful photos! 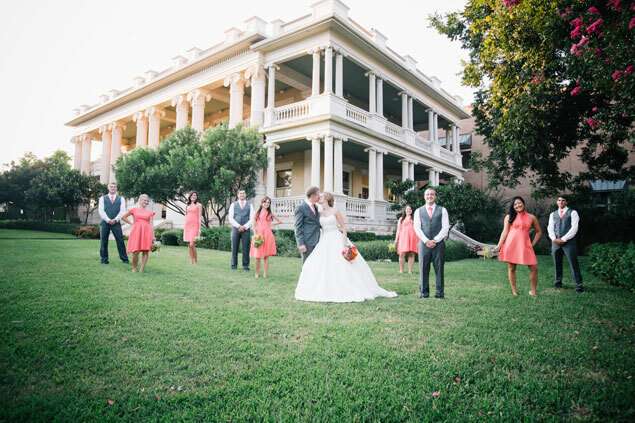 Deborah: � This was a fabulous fall wedding that took place at the Mansion at Judges Hill in downtown Austin, Texas. 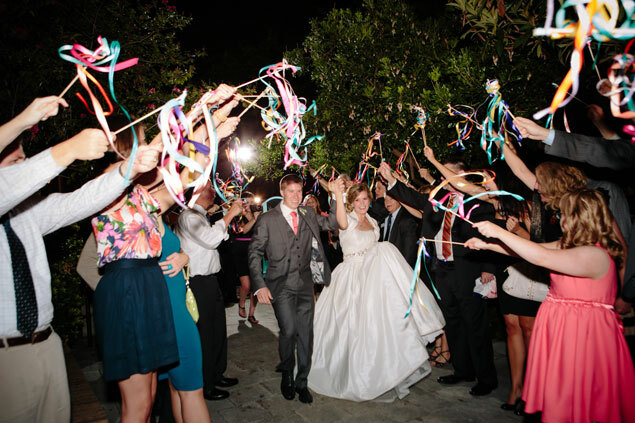 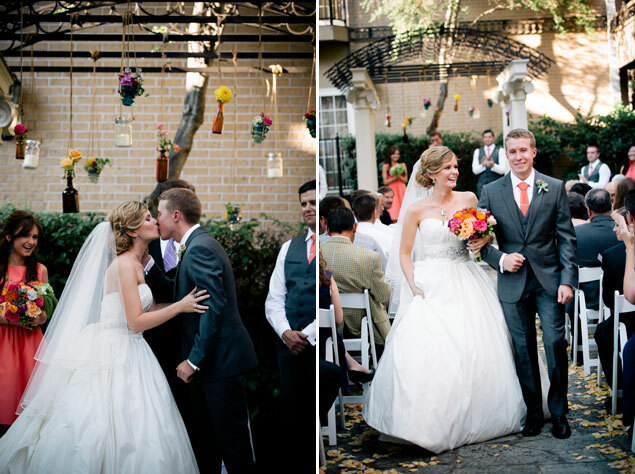 The couple currently live in Washington, DC but the bride grew up in Austin. 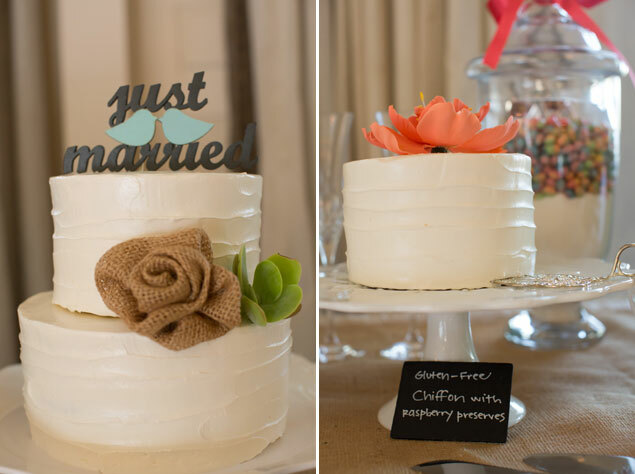 The bride was inspired but several DIY items she saw on pinterest and, with the help of her her sisters and mom, she made some amazing vintage inspired decor for her wedding. 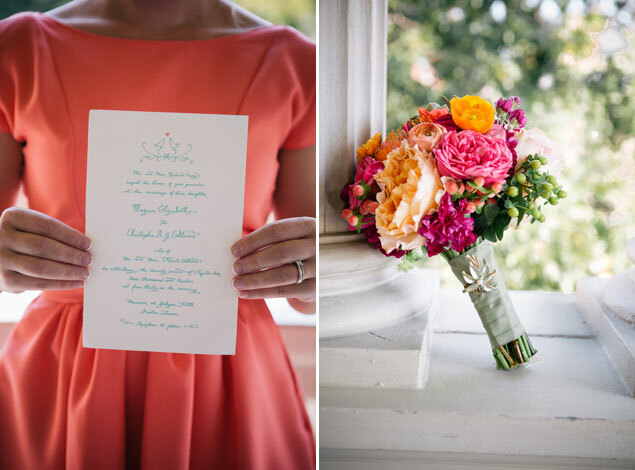 The colors were a bright coral and turquoise with lots of other bright colors in the mix. 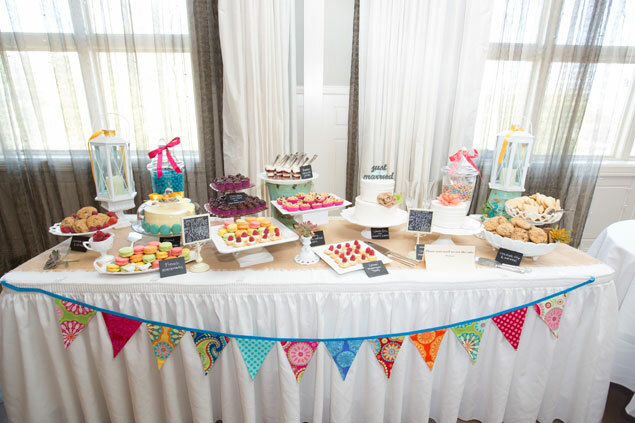 They included several family heirlooms such as milk glass vases, various glass/metal dessert stands and silver platters. 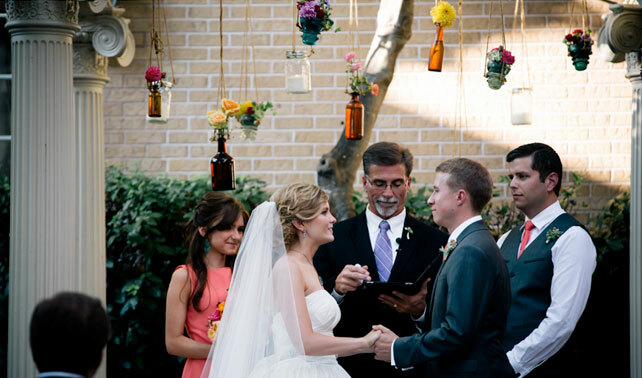 At the ceremony site they had a bible, bottles and communion cups that were also family pieces. 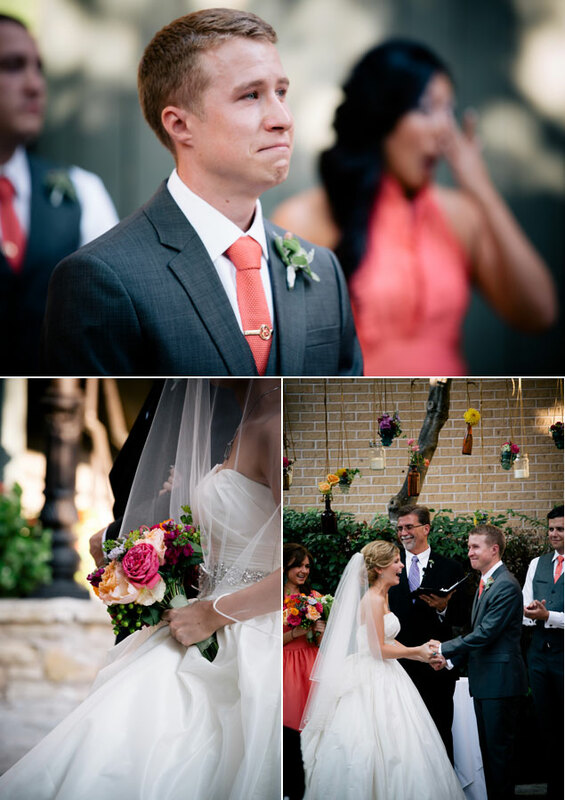 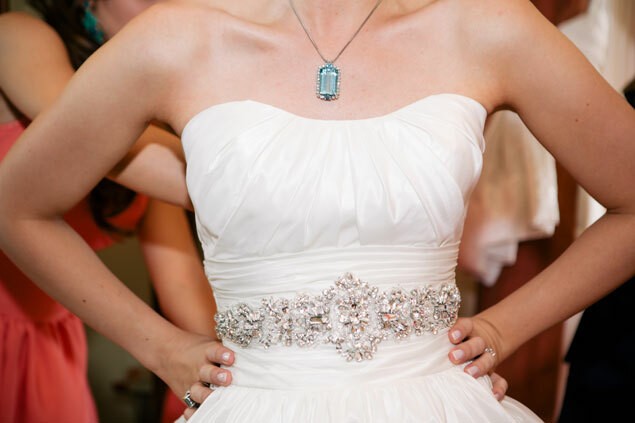 The bride had a pin on her flowers that was a family heirloom. 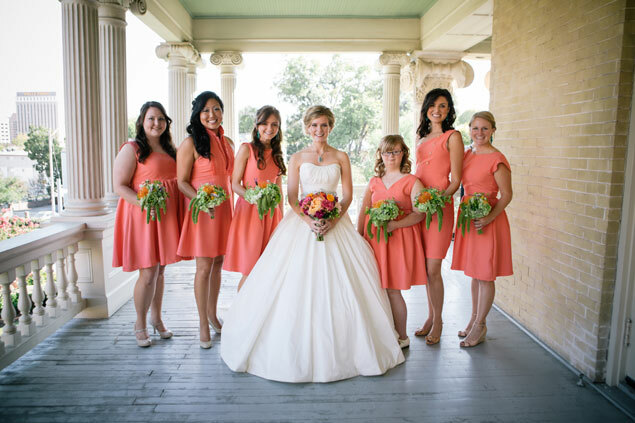 The bridesmaid dresses were all one of a kind made by her friend who is a fashion designer in DC.